It’s almost Christmas, the season of baking! That’s what Christmas is about, right? Making lots of treats and eating them? Though Thanksgiving is known for pies and turkeys it seems that Christmas gets much of a sweet-tooth indulgent celebration, with cookies, cakes, pies, pastries, sweet breads, and so much more. It is with great pleasure today that I share with you my family Christmas Cake. I grew up thinking that A) my grandmother invented this cake and B) It was only every made for Christmas. These are both false. In fact, many of you have probably made this cake, and you can really make it at any time of the year. The holiday police will not stop you. Step one, you must obtain the ingredients. 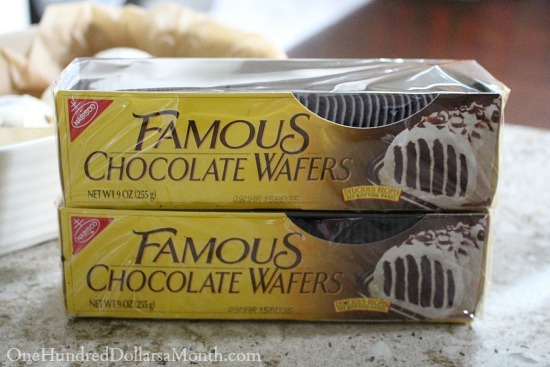 The most important of which are Nabisco Famous Chocolate Wafers. It MUST be this brand; this exact box of wafers. Also, I find that these must be purchased about a week in advance because other people want to make this cake for Christmas and the closer you get to christmas the harder they will be to find. I’ve had three boxes waiting on my counter for about five days now. Next you need to get some heavy whipping cream. Now you can get away with one box of cookies and one 16oz box of cream, but usually I like to double the recipe. Cookies will break and if this is your first cake you might get overexcited and use too much whipped cream and then run out. (Trust me, it happens). So the ratio is up to you. This year I am making two cakes and I have three whipping creams and three boxes of cookies, but I’m an expert. You should make this cake one night before you are going to eat it. This allows the cookies to soak up all the sweet fluffy whipped cream and get nice and soft. So, the night before Christmas, you must start to whip the cream. Add all the cream to a large bowl. Add 1tsp vanilla for every 16oz whipping cream carton you have. Add some spoonfuls of powdered sugar to taste (I like to add no more than 2tbs sugar because I think a lighter cream better showcases the flavor if the cookies. Sometimes I don’t even add sugar). 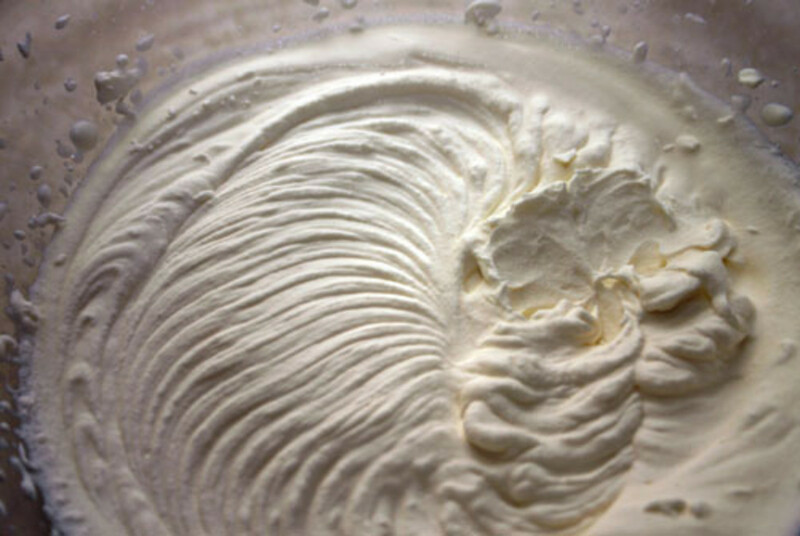 Whip the cream with an electric beater until it forms peaks. Now that the cream is nice and fluffy and your kitchen is covered in small white specs, it’s time to assemble the cake! Take one wafer out of the box, use a spatula to place a small about of whipped cream on it, put it on a plate and then repeat, connecting all the wafers together. 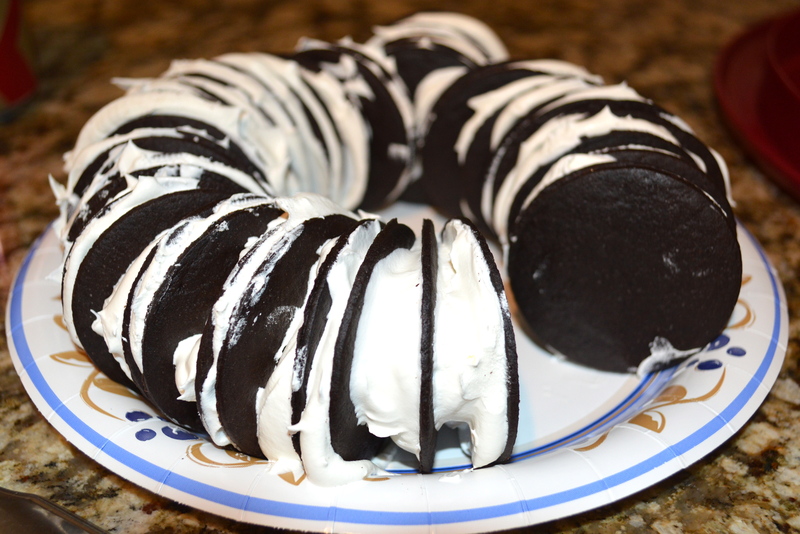 My family traditionally does this in a circle around a holiday themed plate. Sadly I do not have any pictures of our specific cake from previous years and I haven’t made this year’s yet so use your imagination. Next, take the whipped cream you have left and frost the cake so that you can’t see the cookies anymore. And that’s it! Throw it in the fridge until it is ready to be enjoyed. For added fun, put some fun holiday sprinkles on top right before serving. I have brought this to family Christmas so consistently that if I don’t make it I’m basically shunned. It happened once, this cake is that good. Enjoy your holidays, bakers!